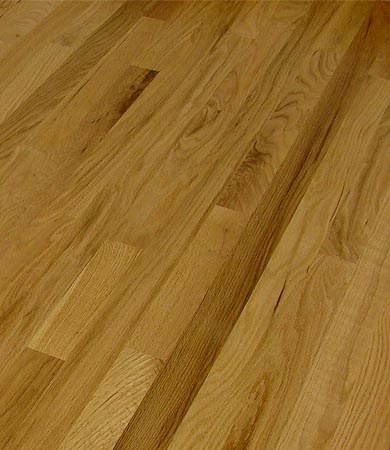 Other advantages of Solid Hardwood Floors include overall appearance, or once again a more traditional choice. Why? 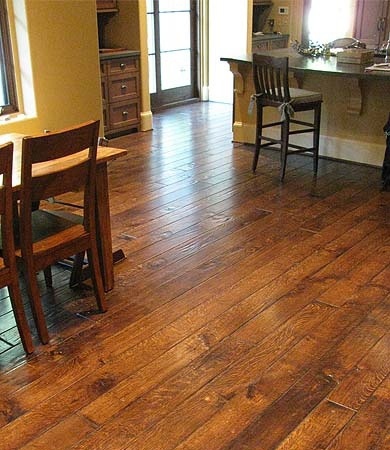 Al Havner will offer options rarely seen at the more common flooring stores that include longer length hardwoods. This point alone leads to disappointment once unsuspecting buyers realize there were other options. l'd complain about the tiniest of knots and the slightest mineral streak. Now they're complaining there's not enough knots or mineral streaks. They're hot! Detroit metro residents can't get enough of the natural beauty in which our ancestors lived on in the frontier days. 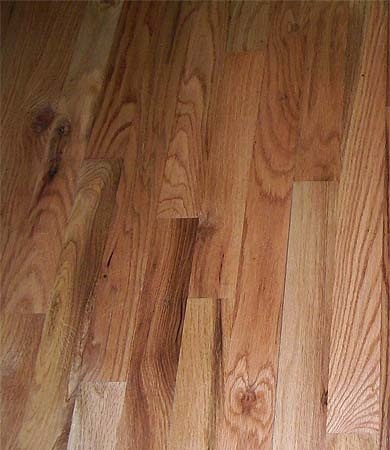 Speak to our Hardwood Flooring Contractors in Dearborn Heights Now. Red Oak #2 Common - Before finish coat applied.